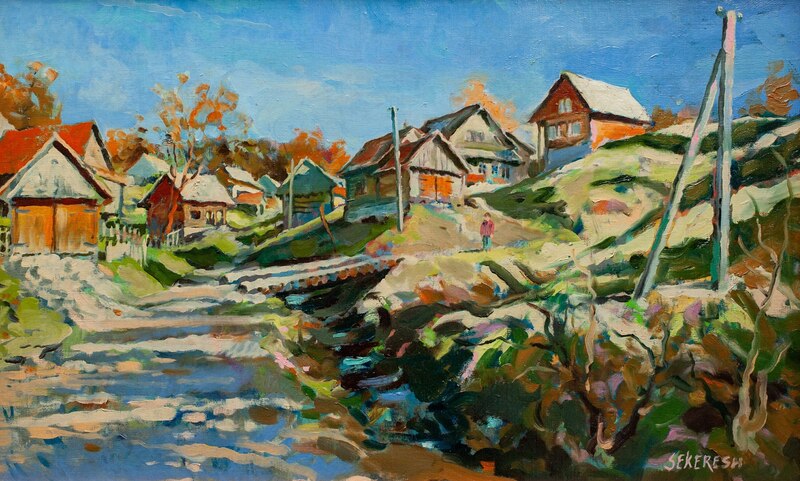 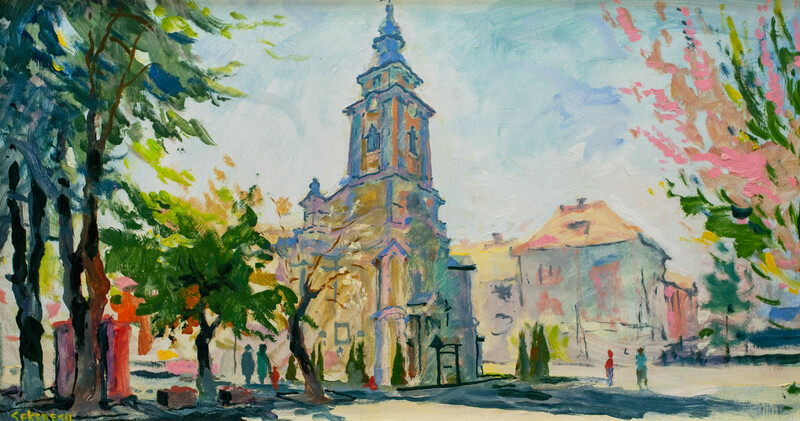 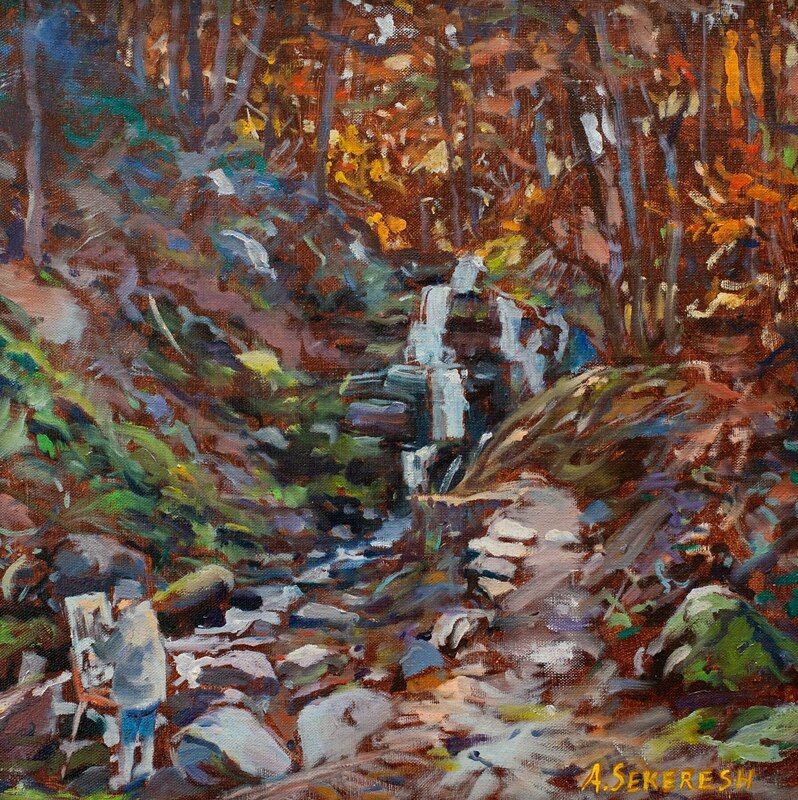 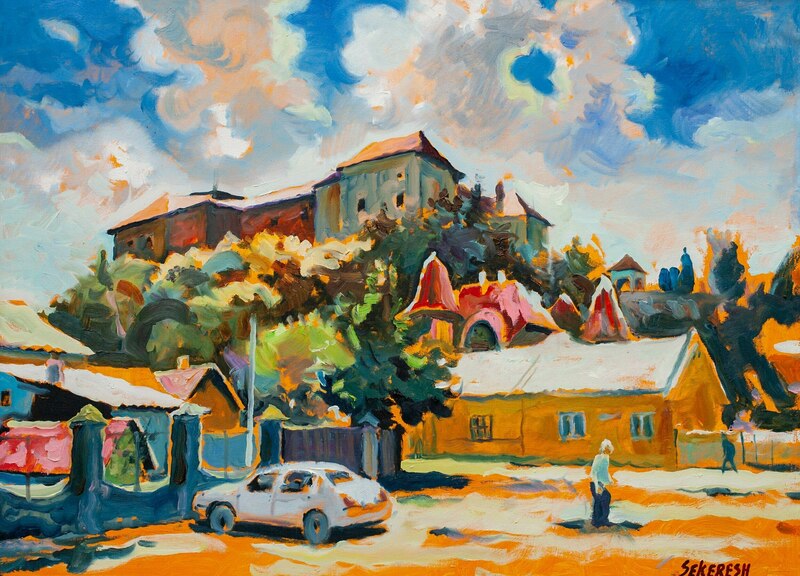 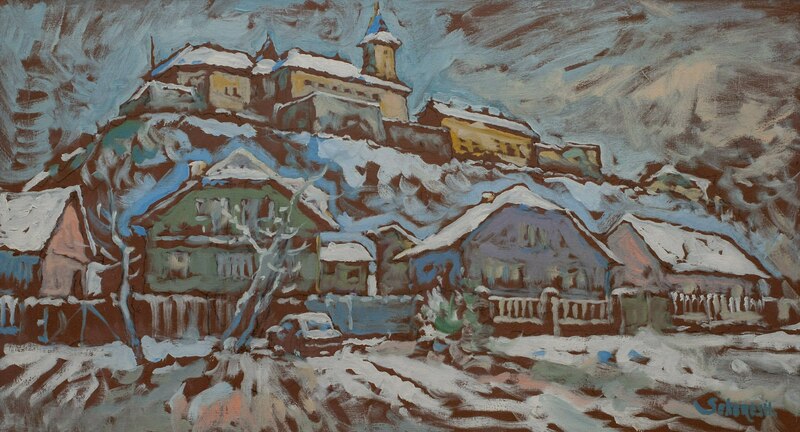 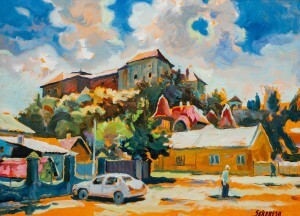 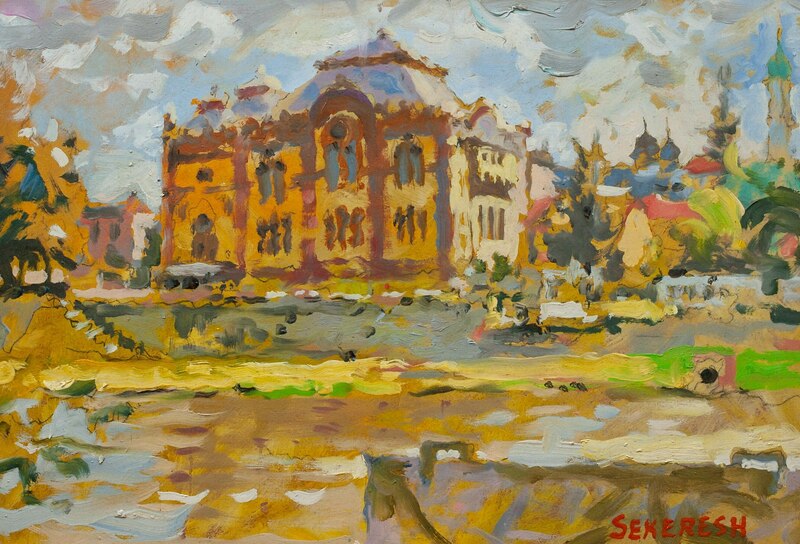 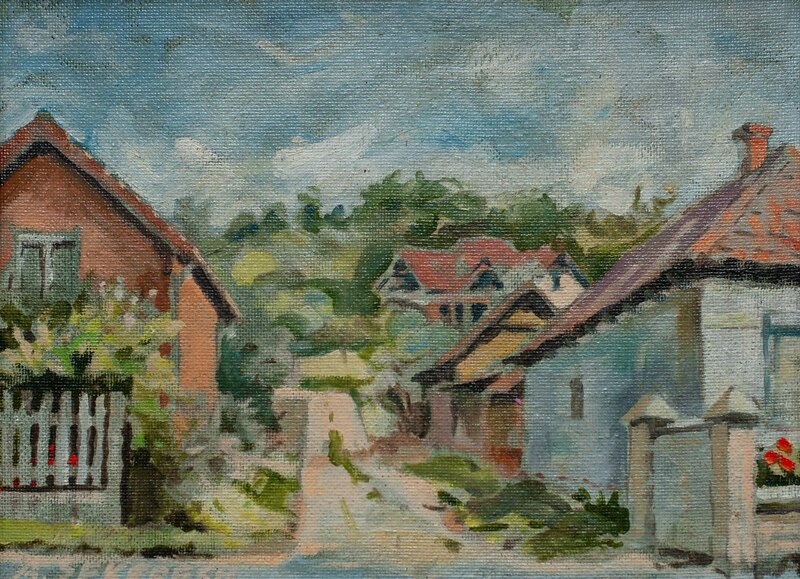 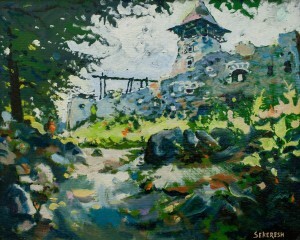 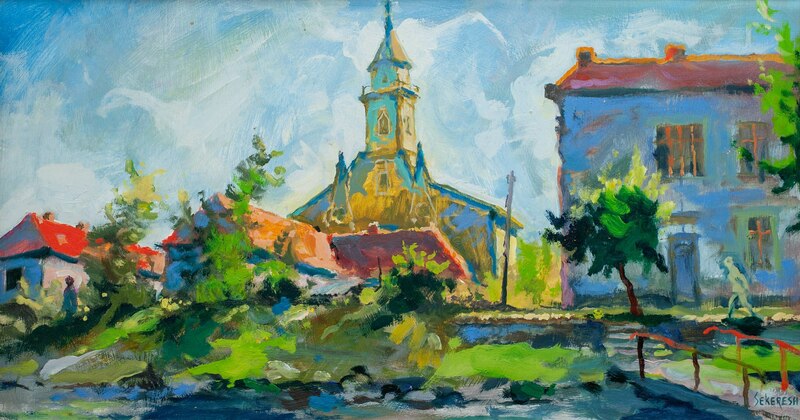 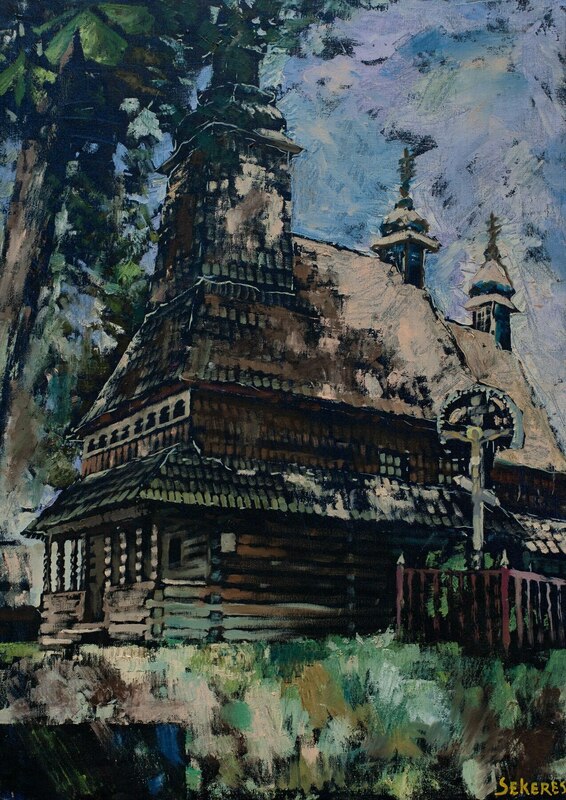 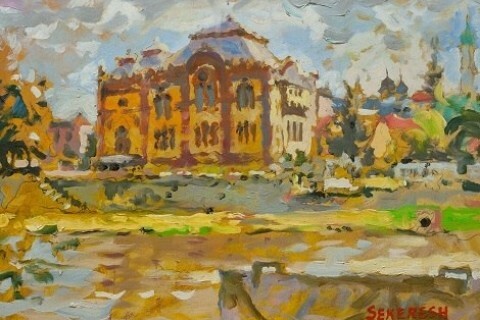 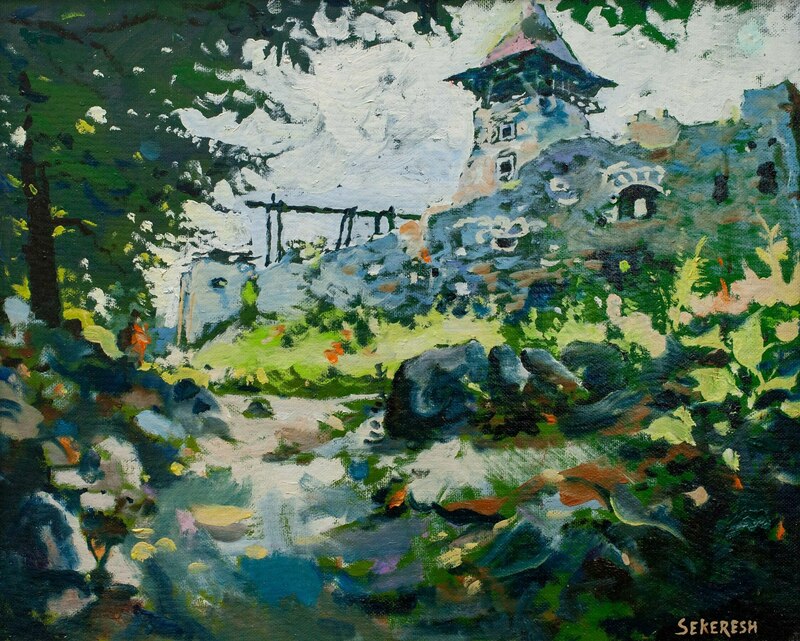 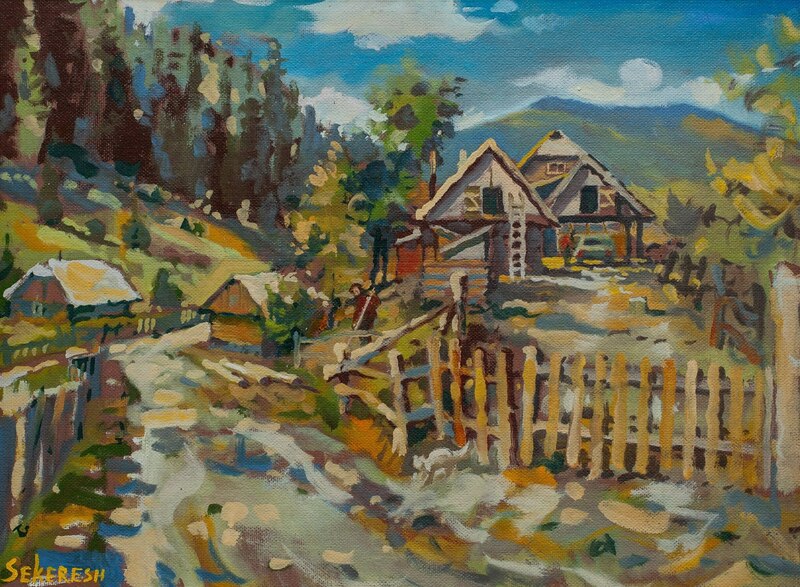 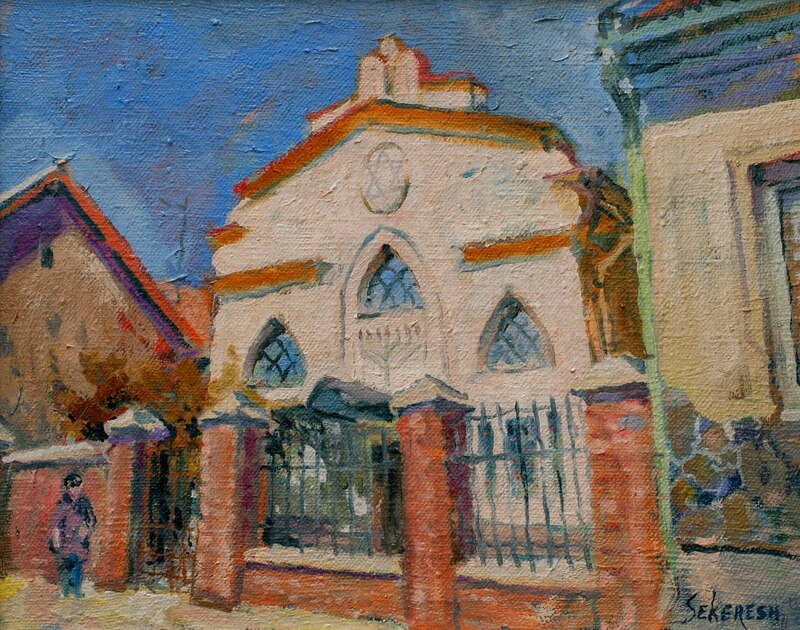 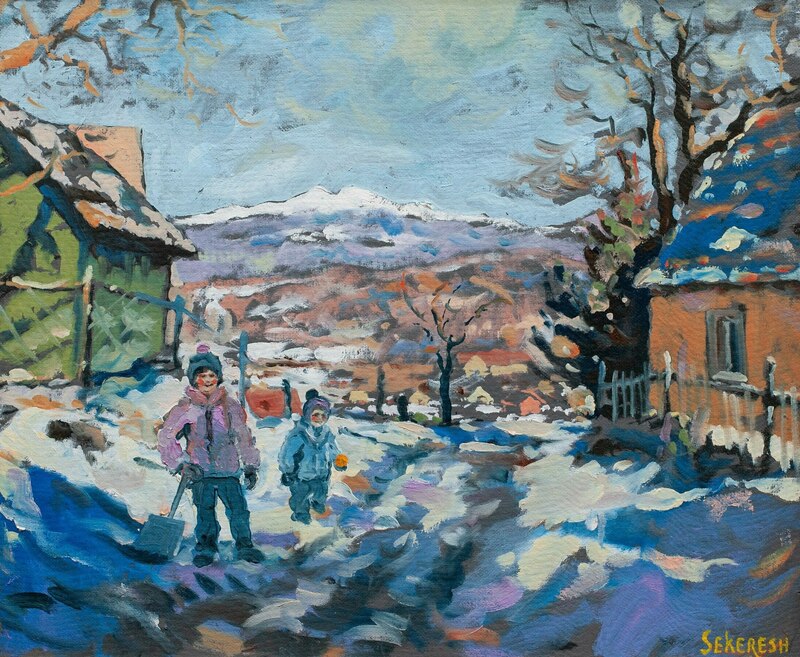 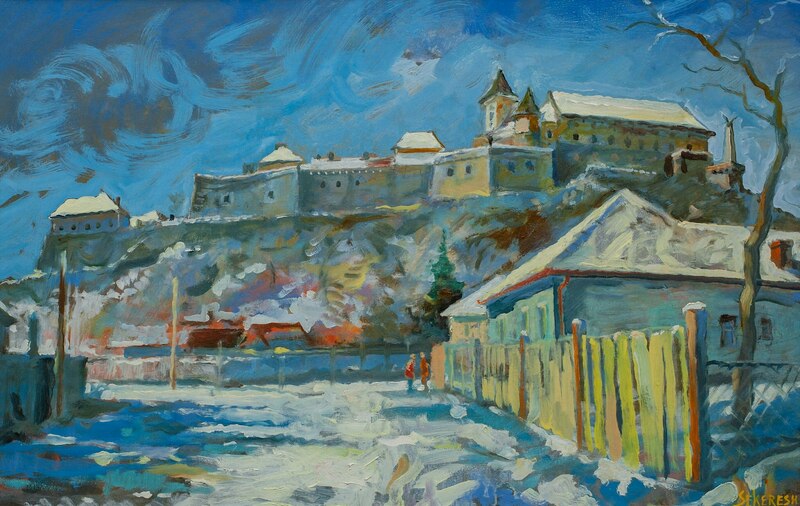 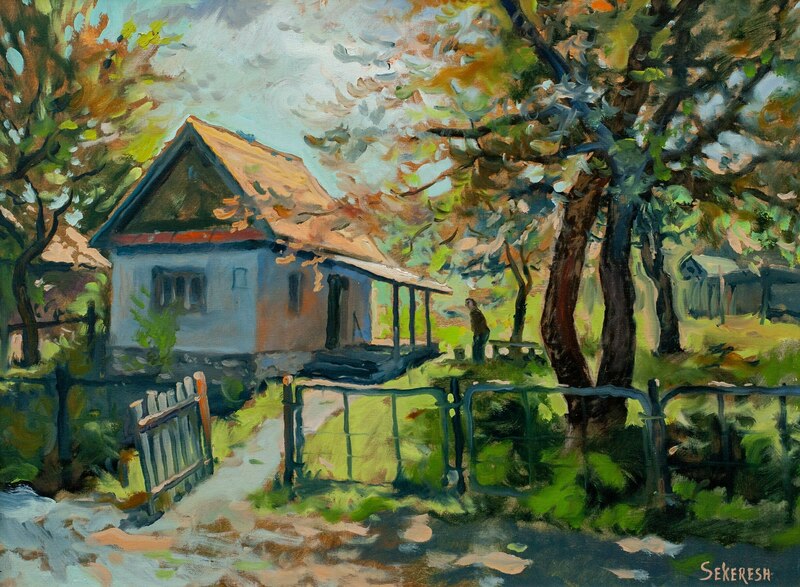 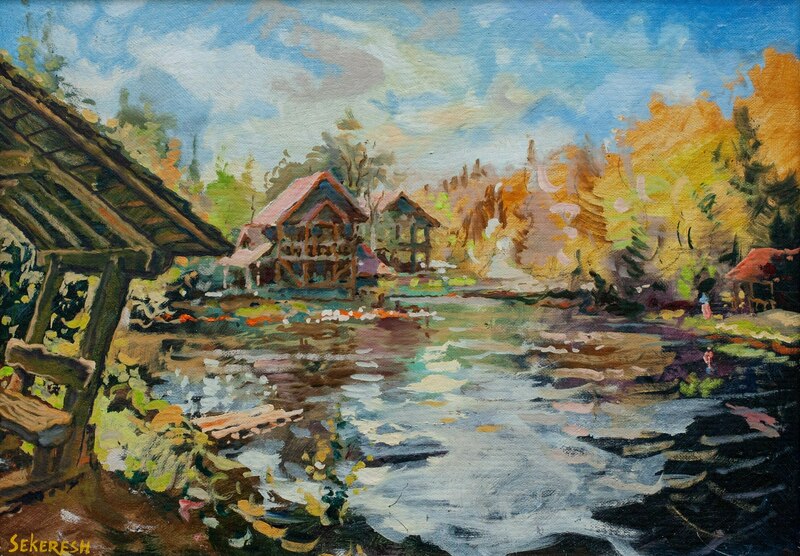 Mukachevo artist Anton Sekeresh decided to show what he loves Transcarpathia for. 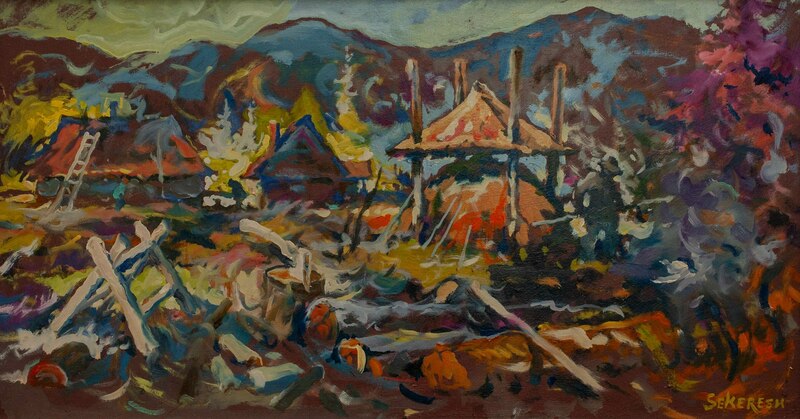 On 14 February 2019, he presented a retrospective exhibition under the title “Love for the Native Land”. 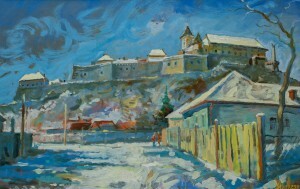 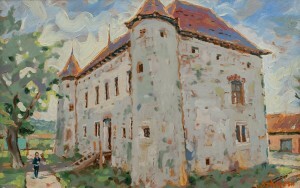 It was opened in the exhibition space of the Mukachevo Historical Museum of the Palanok castle. 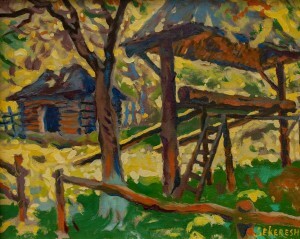 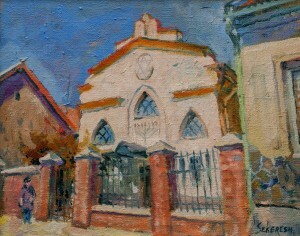 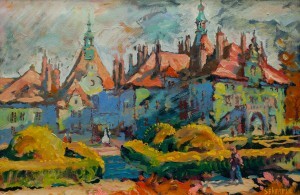 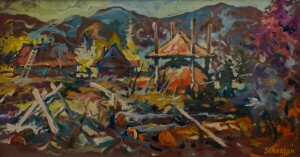 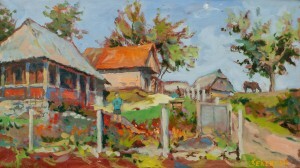 The genre is dominated by rural and urban landscapes with a large number of architectural objects. 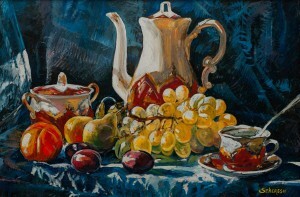 As well, there is still life. 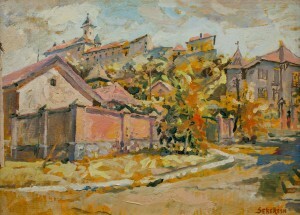 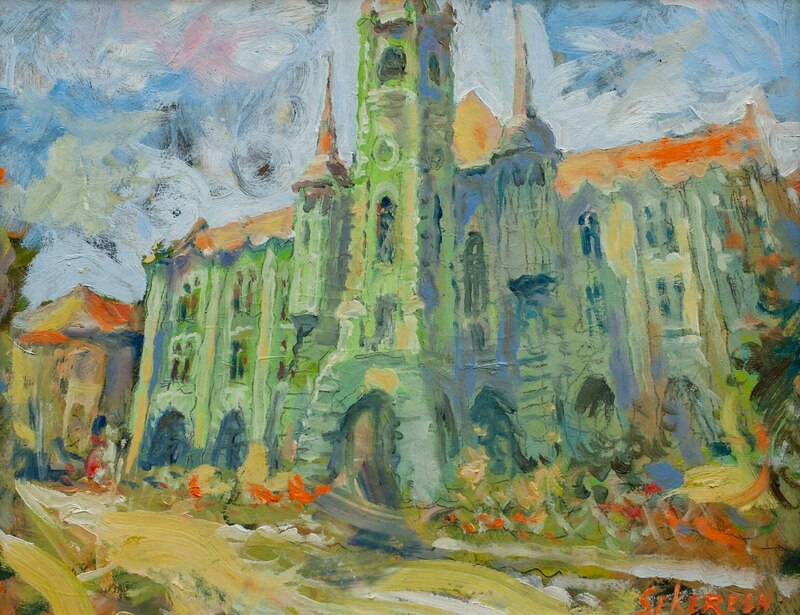 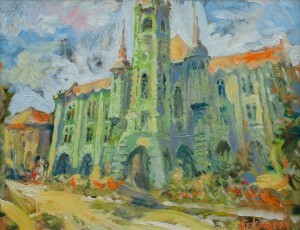 In total, the exposition consists of more than 60 paintings. 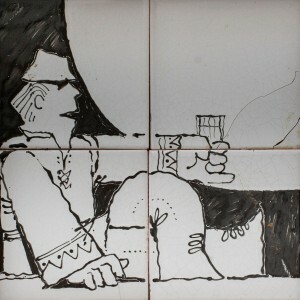 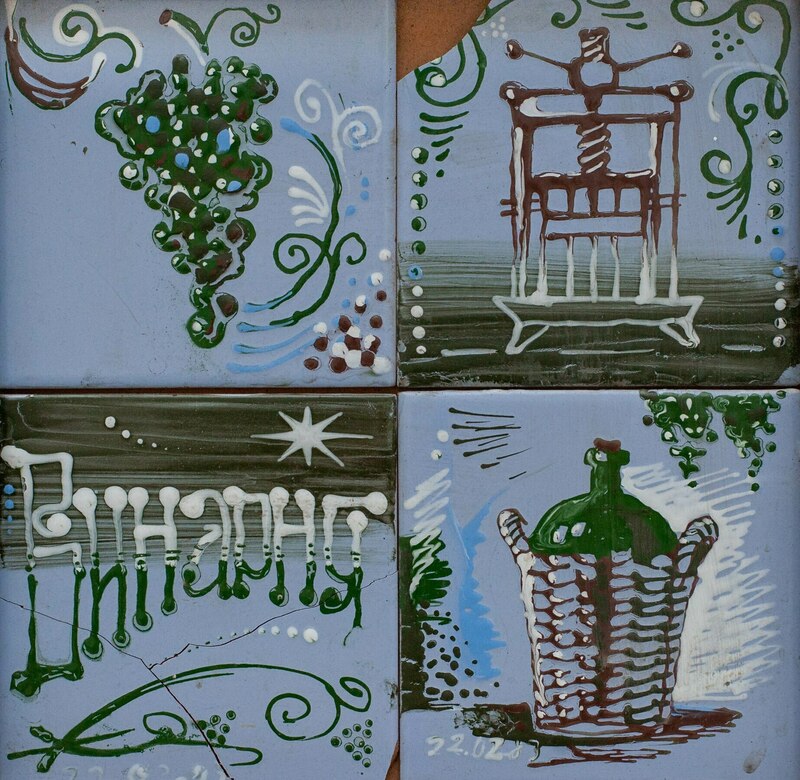 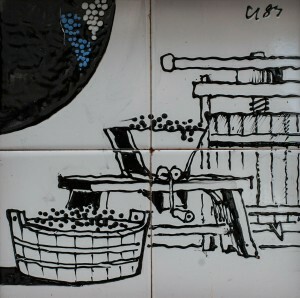 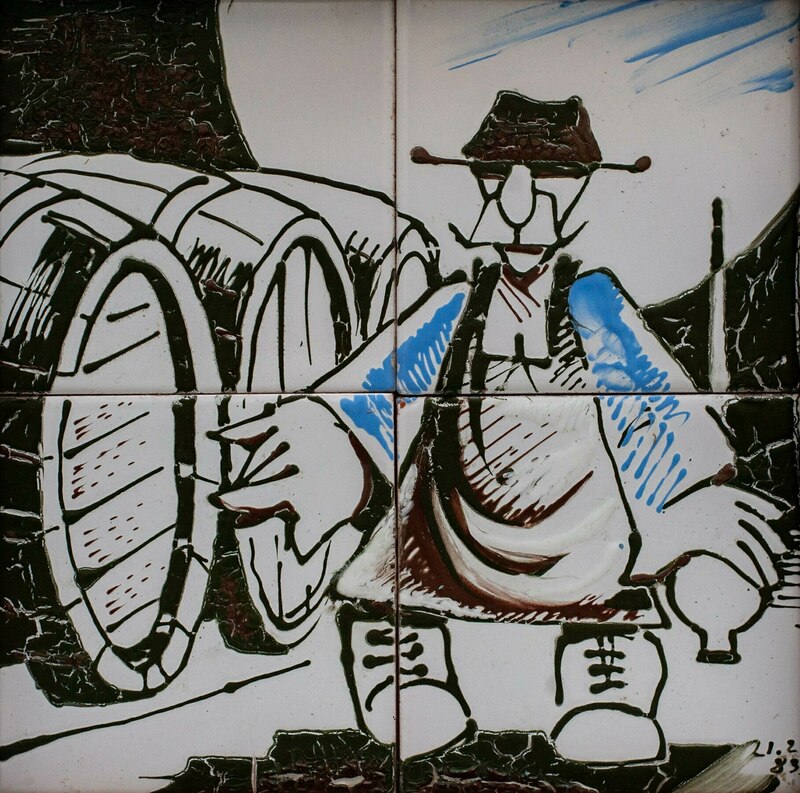 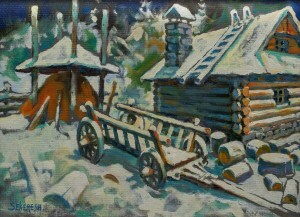 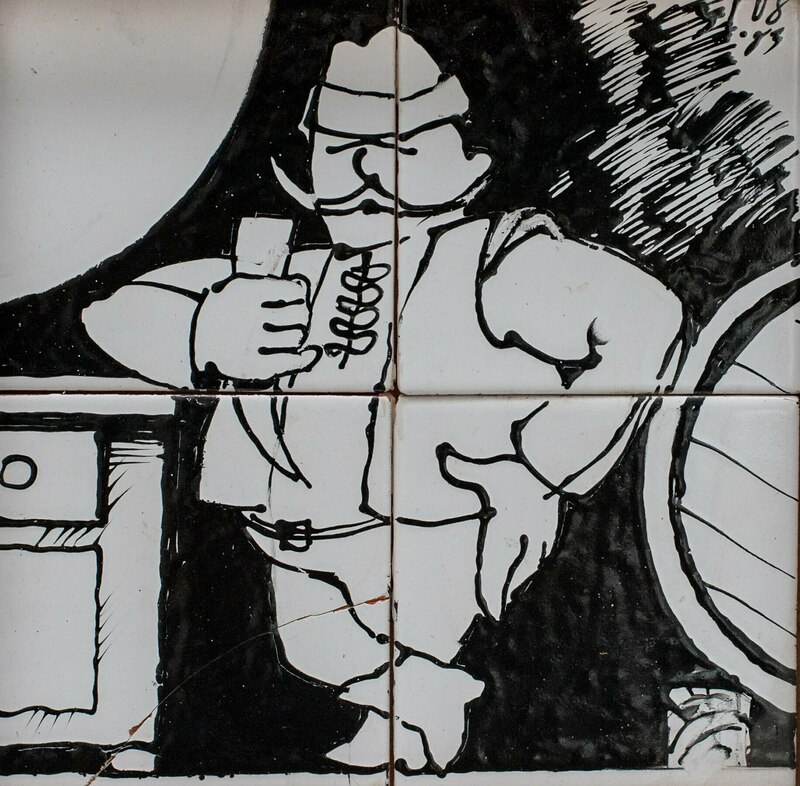 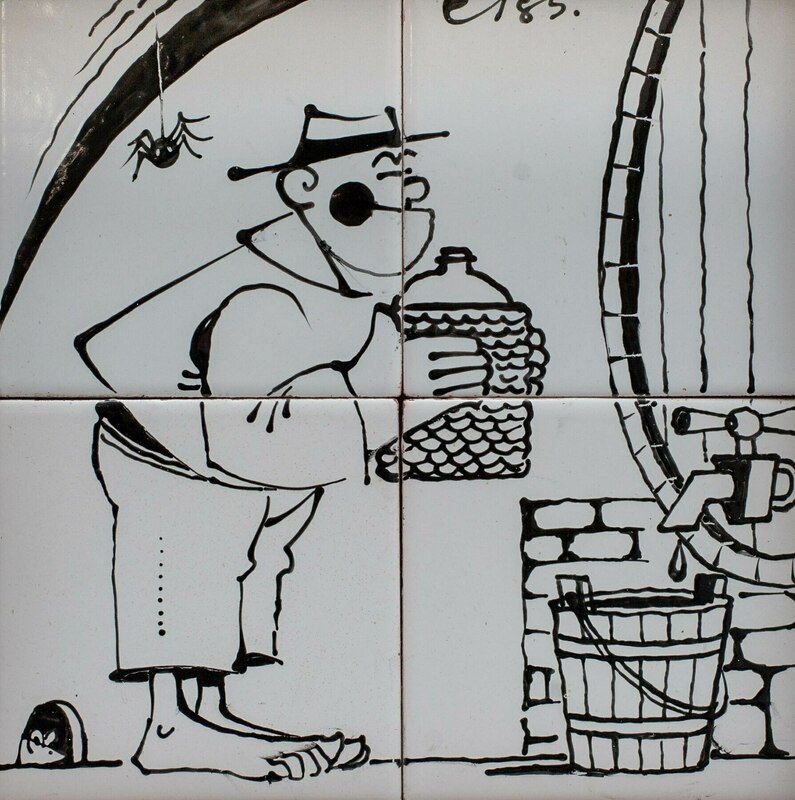 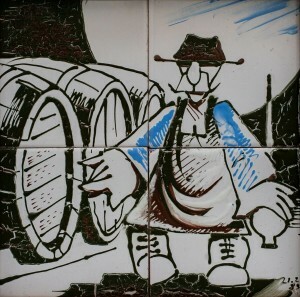 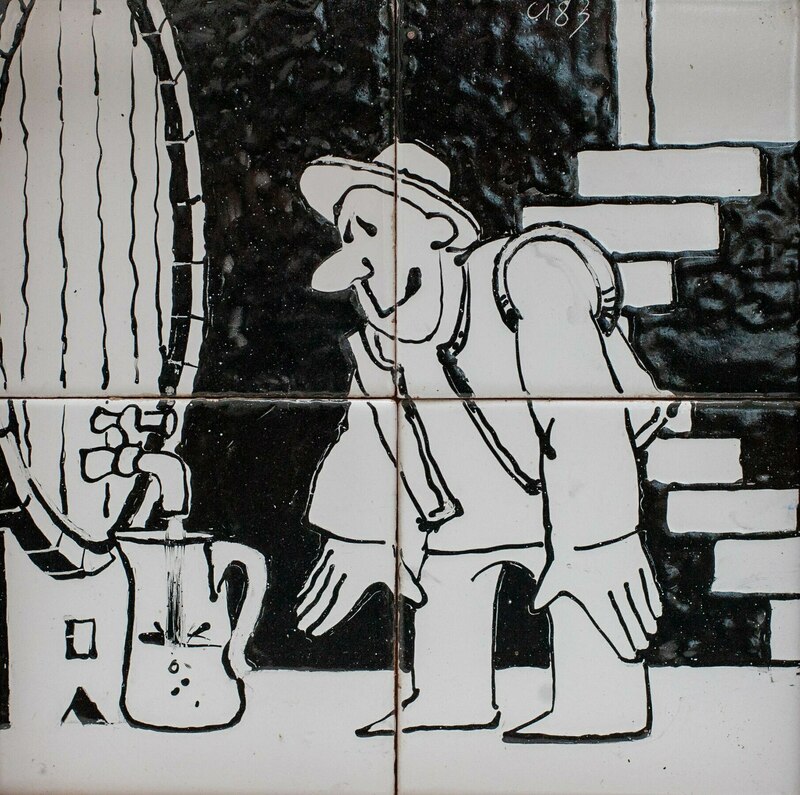 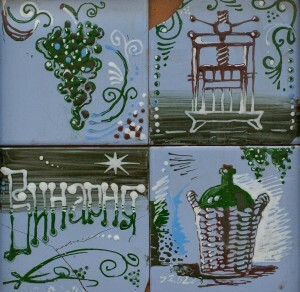 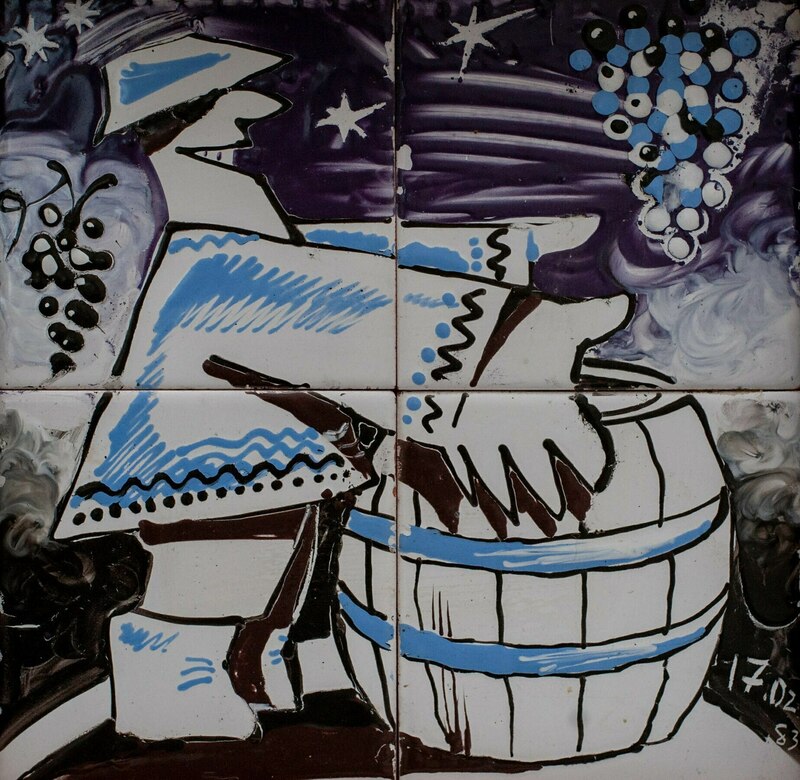 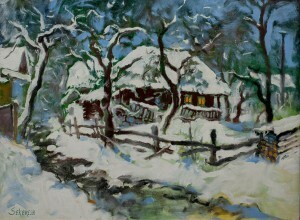 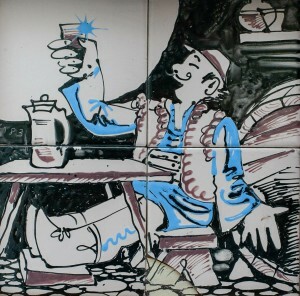 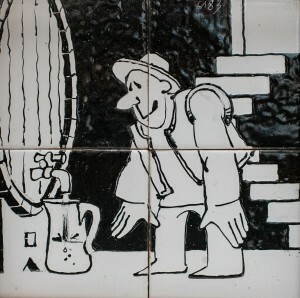 Сeramics complements oil painting – a dozen works with winegrowing motifs. “I picked up the works, guided by the theme, the title of the exhibition “Love for the Native Land”, and I timed it to the Valentine's Day. 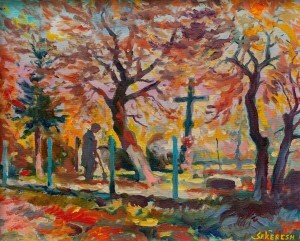 When can we say about love better? 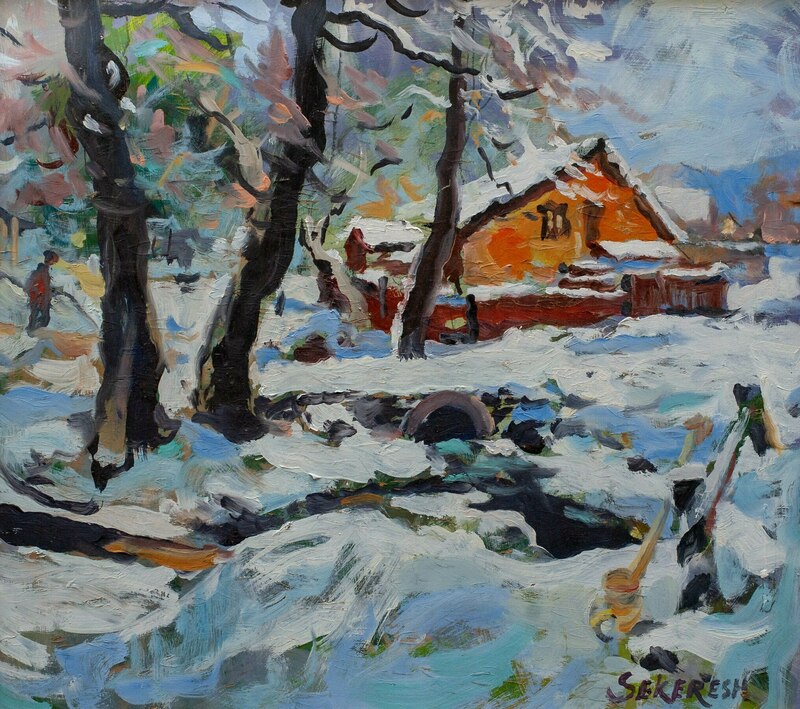 I tried to show the beauty of Transcarpathia in different seasons. 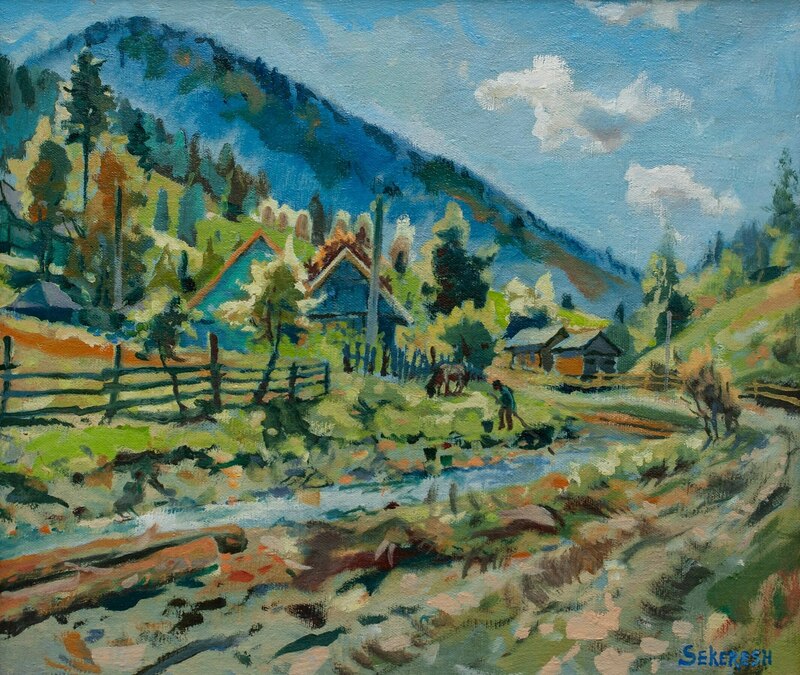 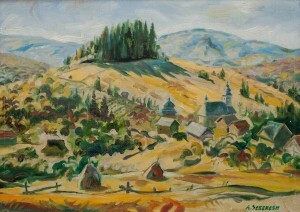 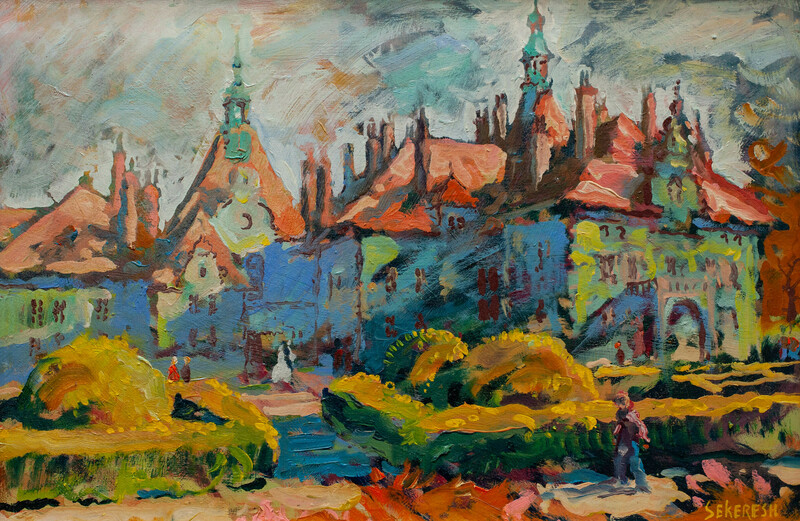 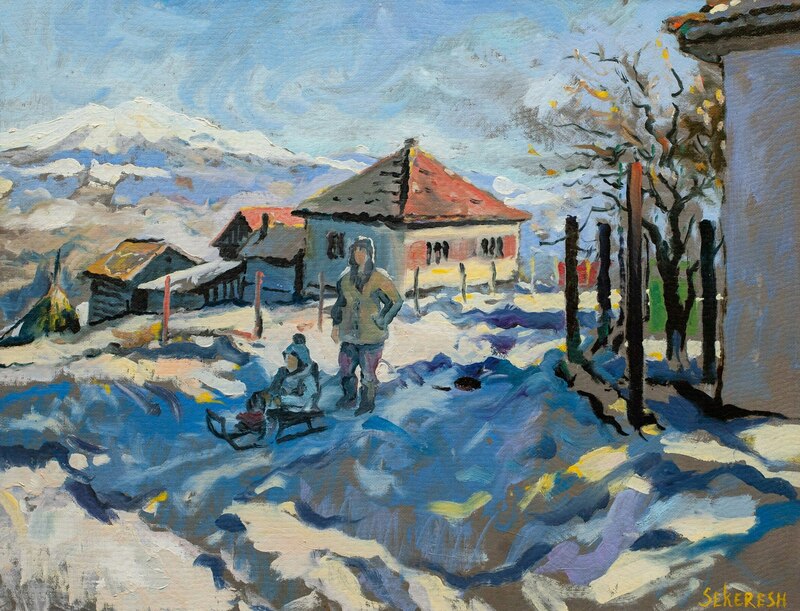 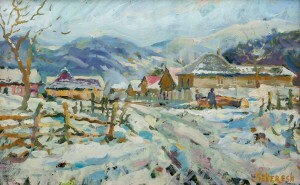 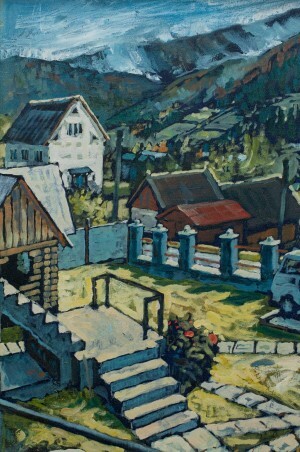 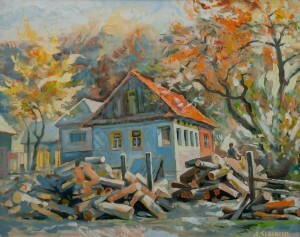 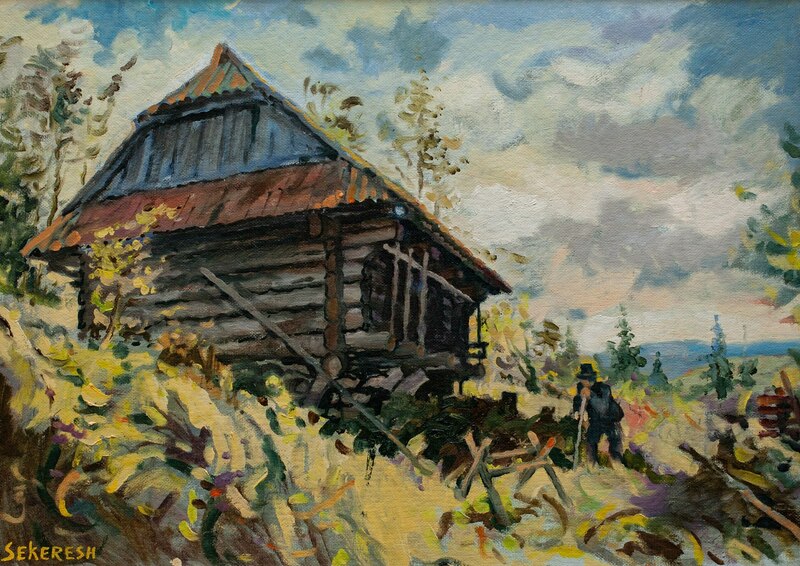 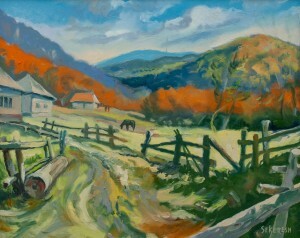 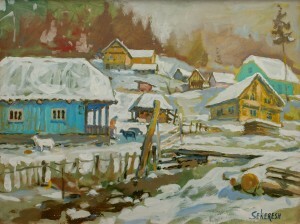 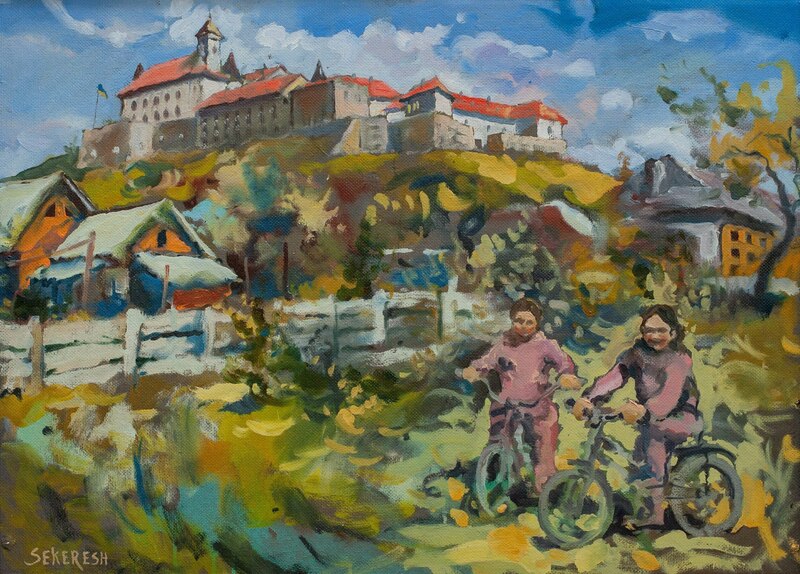 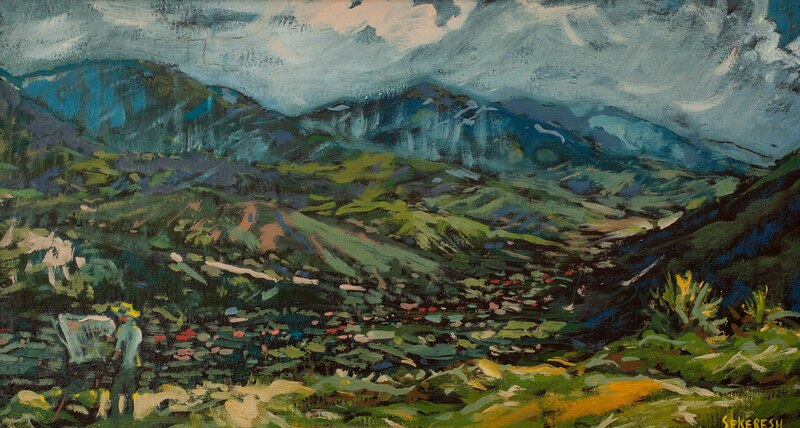 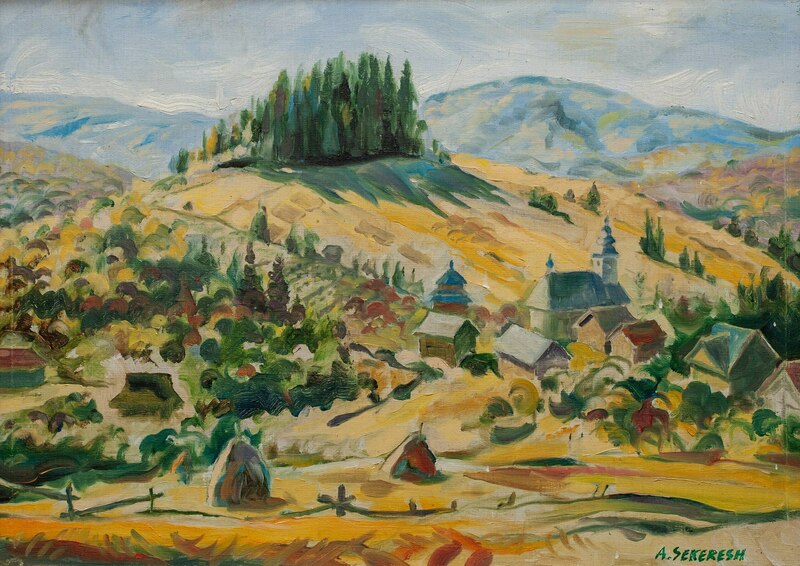 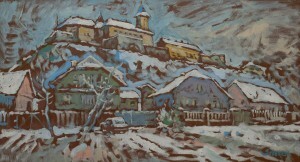 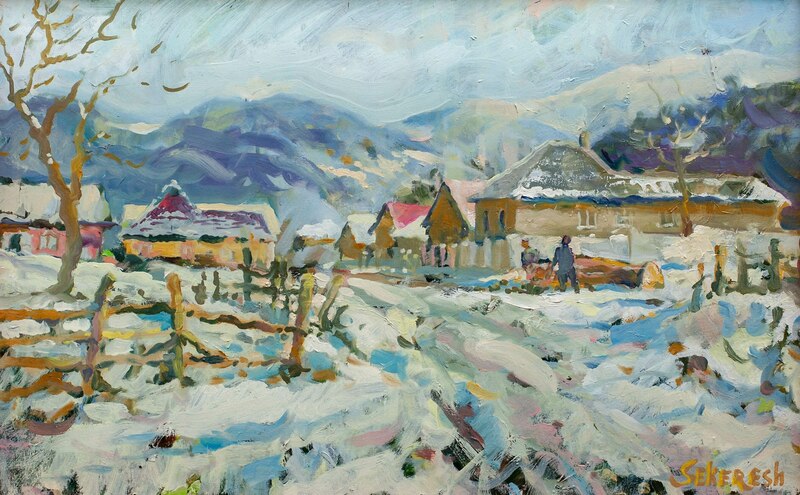 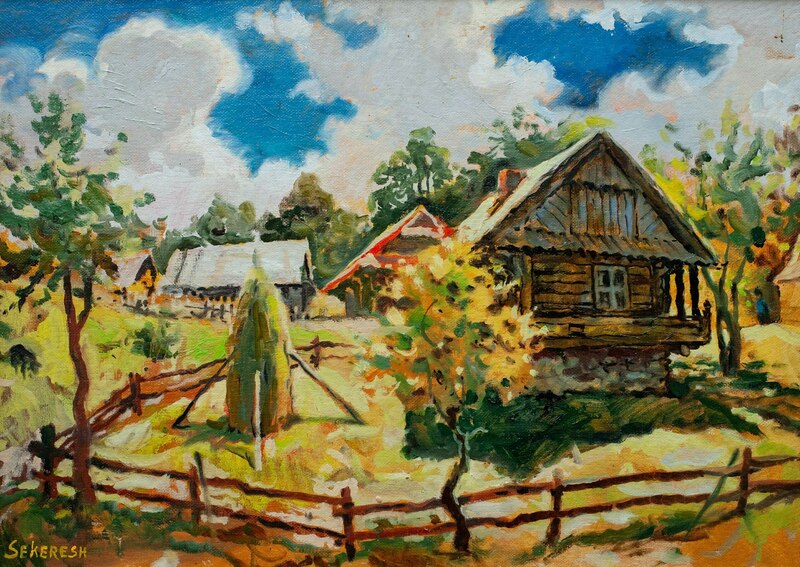 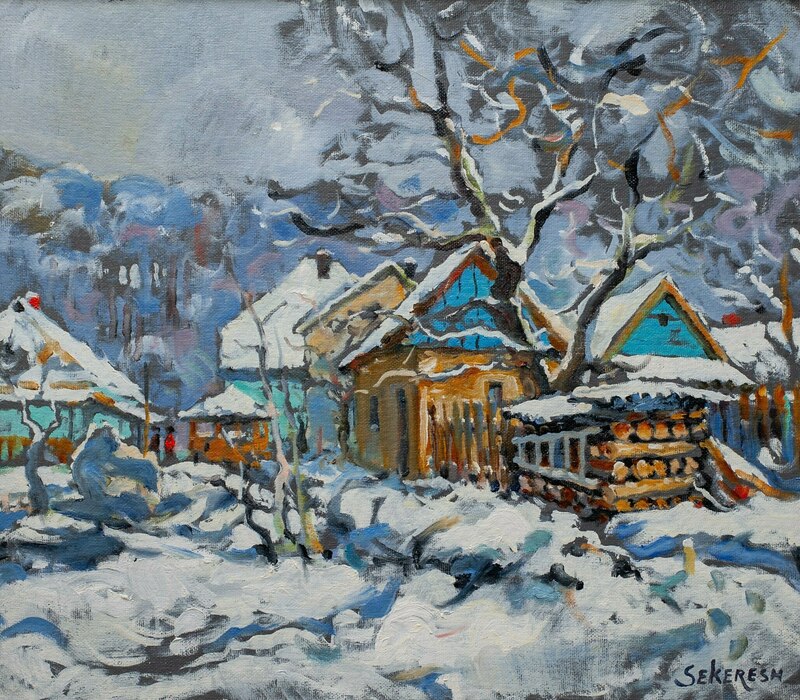 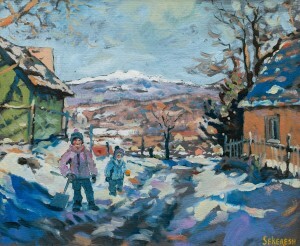 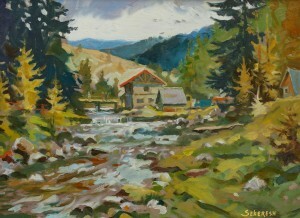 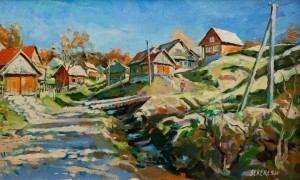 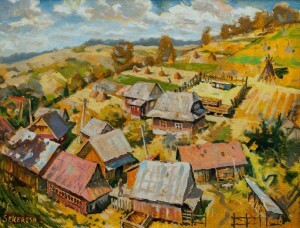 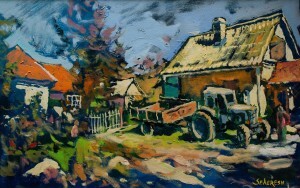 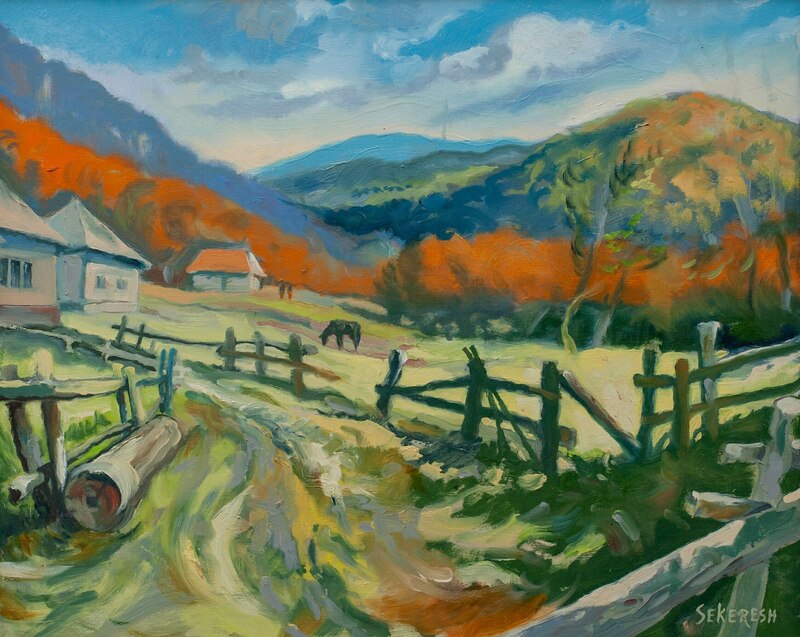 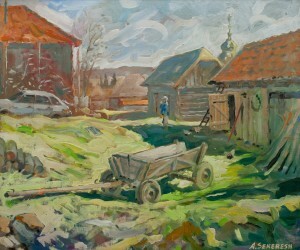 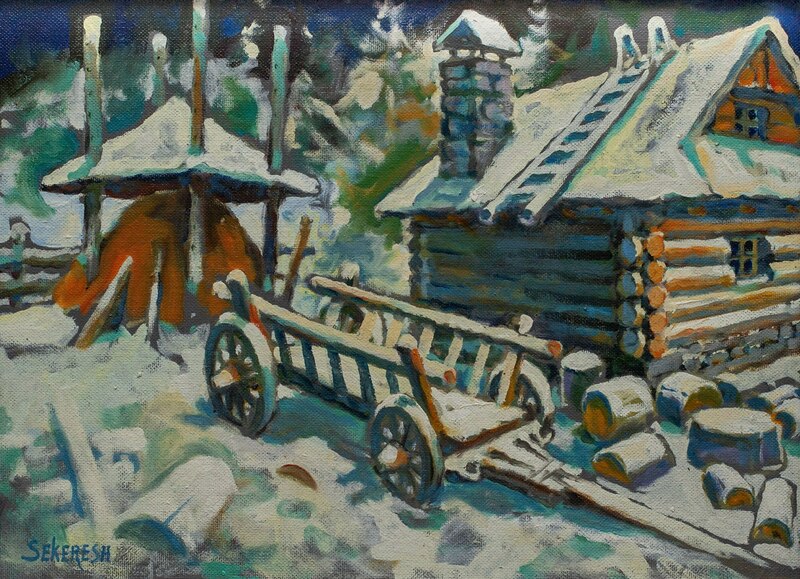 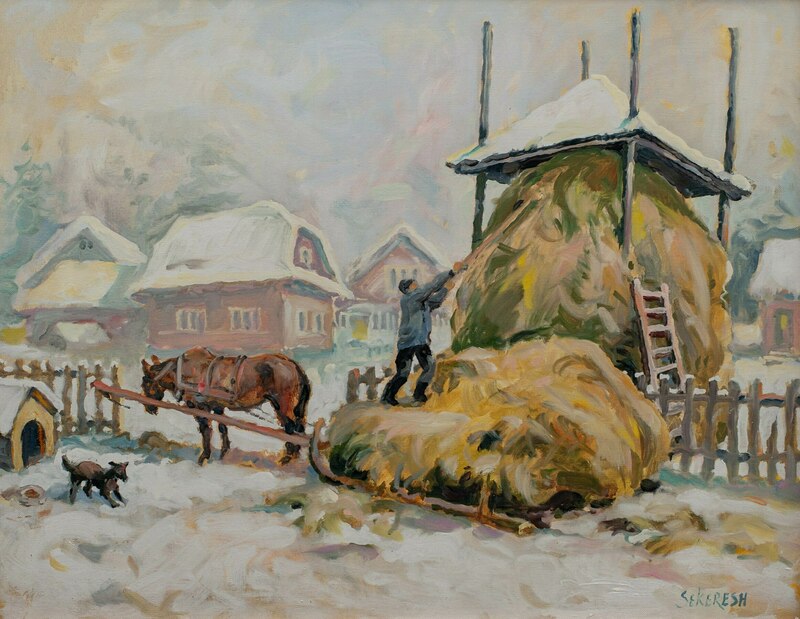 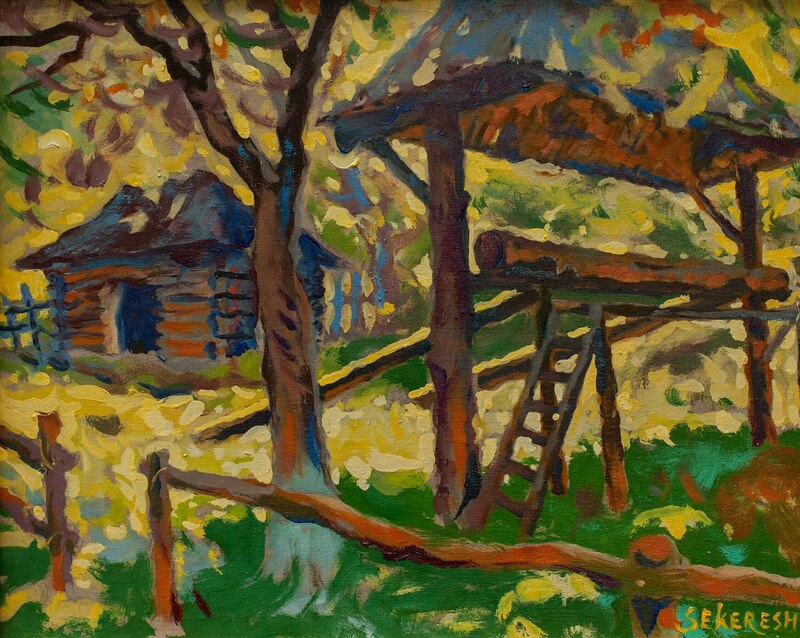 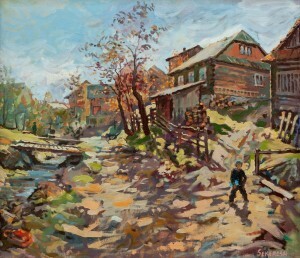 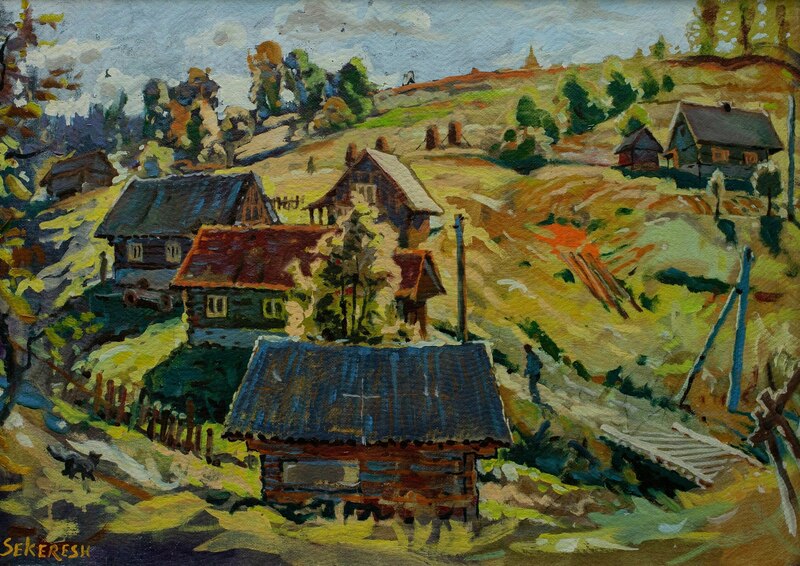 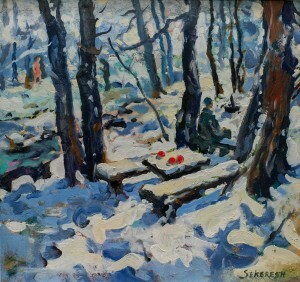 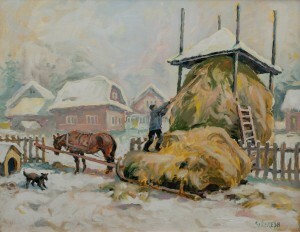 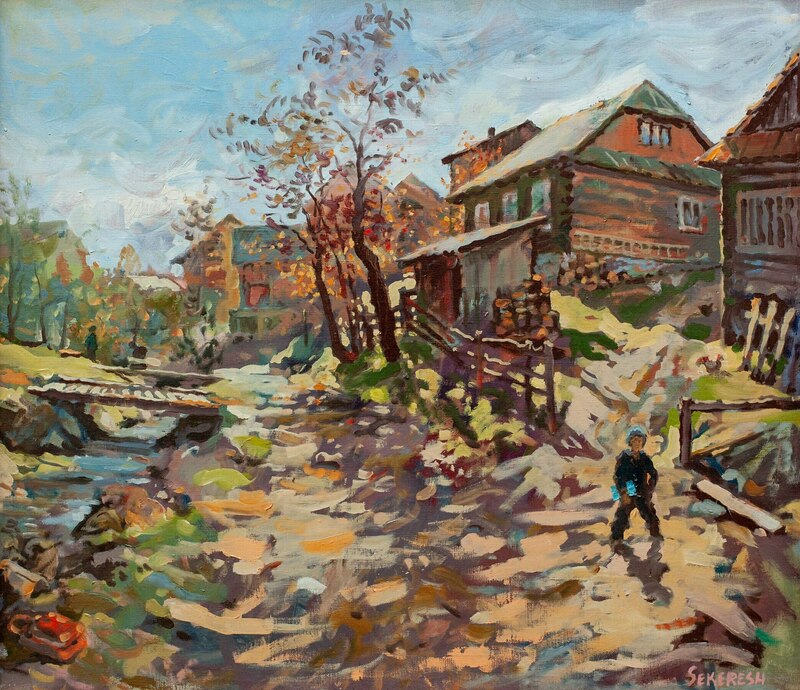 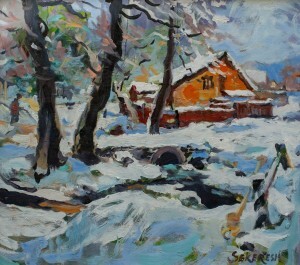 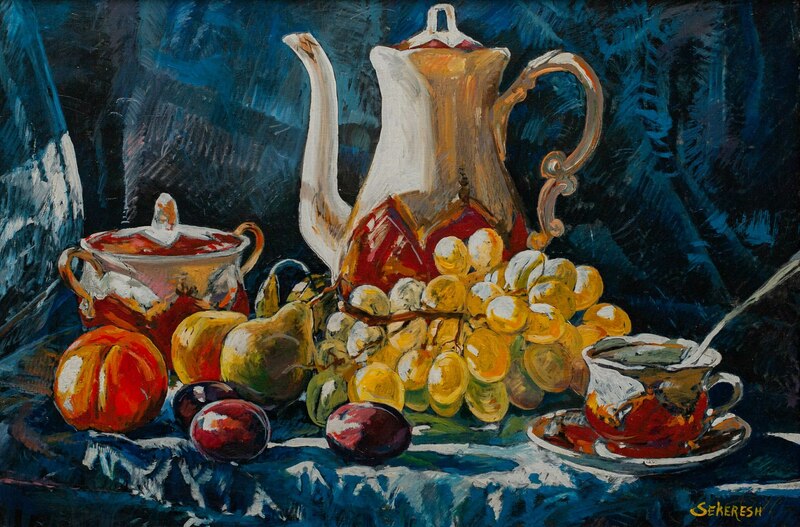 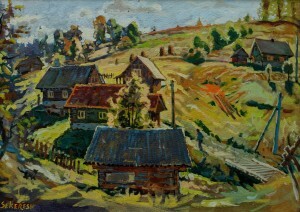 Even still-life testifies to the wealth and fecundity of the Transcarpathian land,” Anton Sekeresh says. 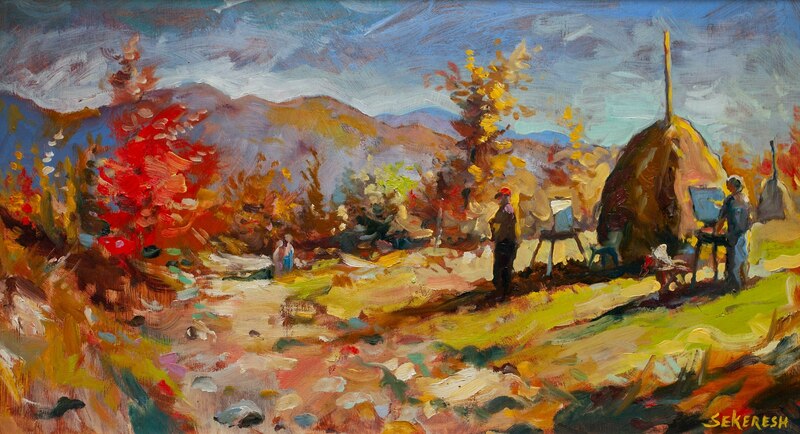 Most of all, an artist likes plein-airs. It is an opportunity to enjoy the nature of the region at different seasons. 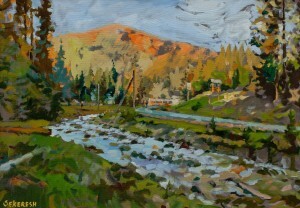 Actually, the plein air works here are the majority. 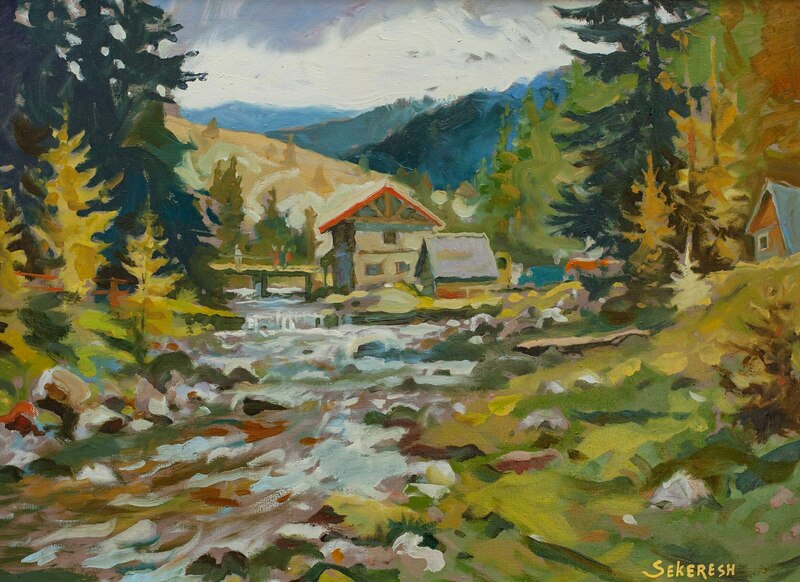 The viewer will see different corners of Transcarpathia, such as Mizhhiria, Yasinia, Stuzhytsia, Kolochava, Verkhnii Studenyi, Synevyr, Nevytske villages, as well as, of course, Mukachevo and Uzhhorod. 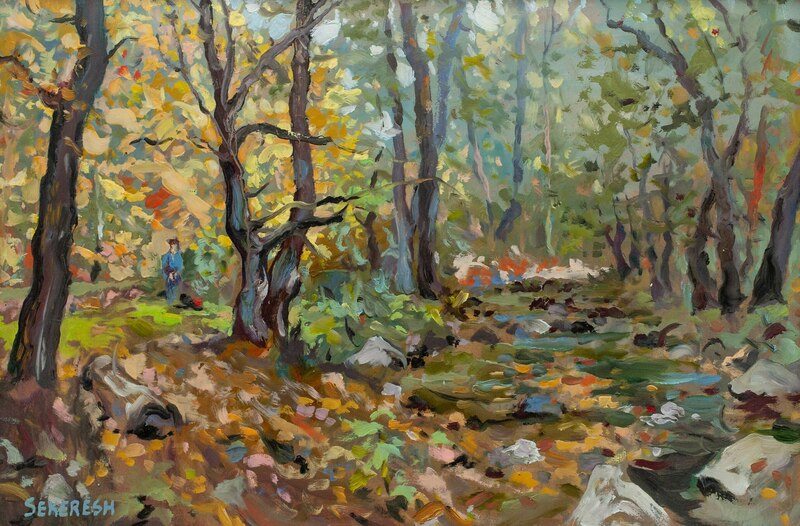 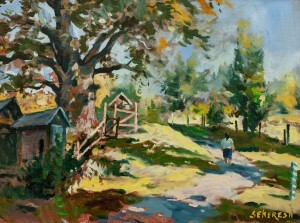 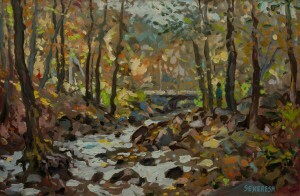 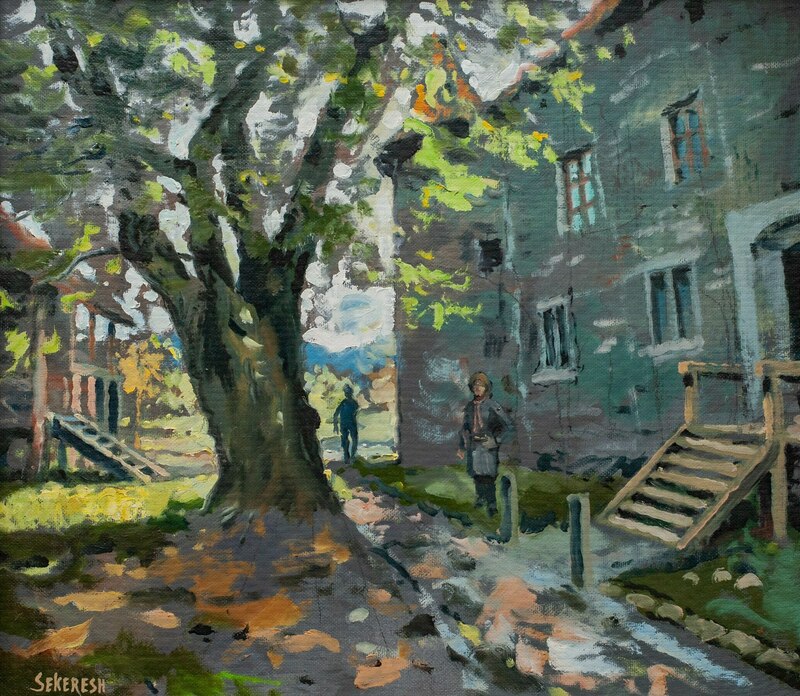 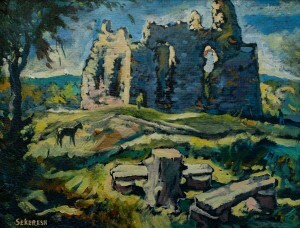 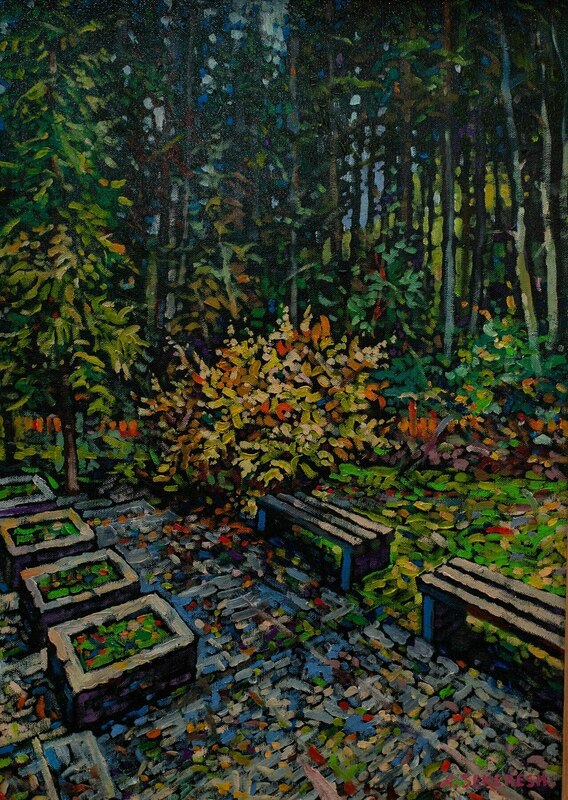 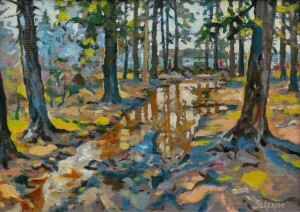 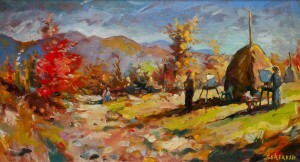 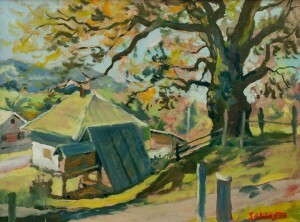 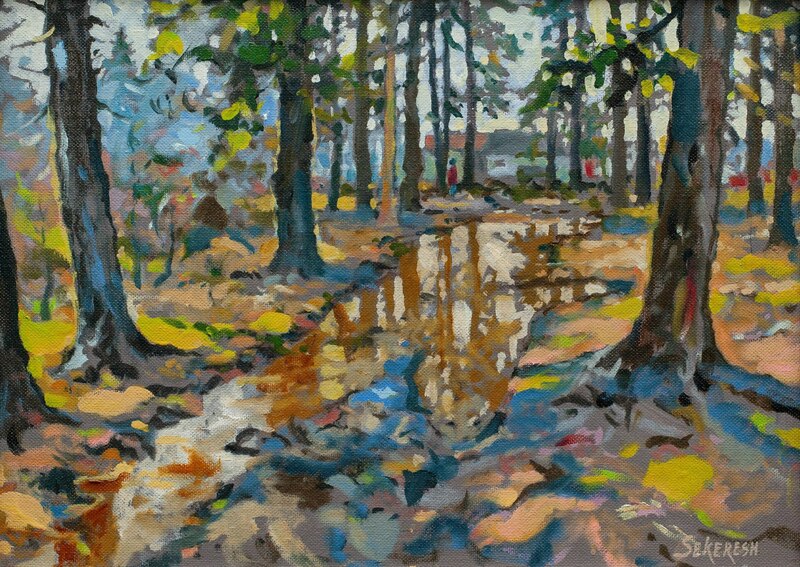 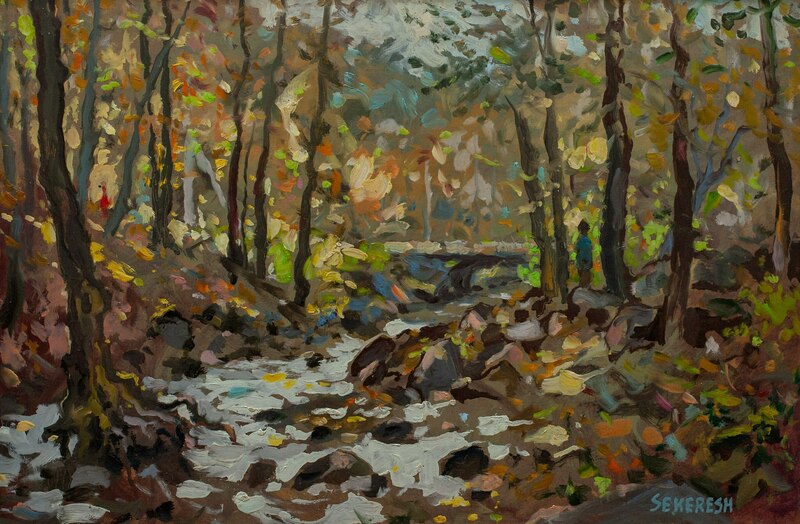 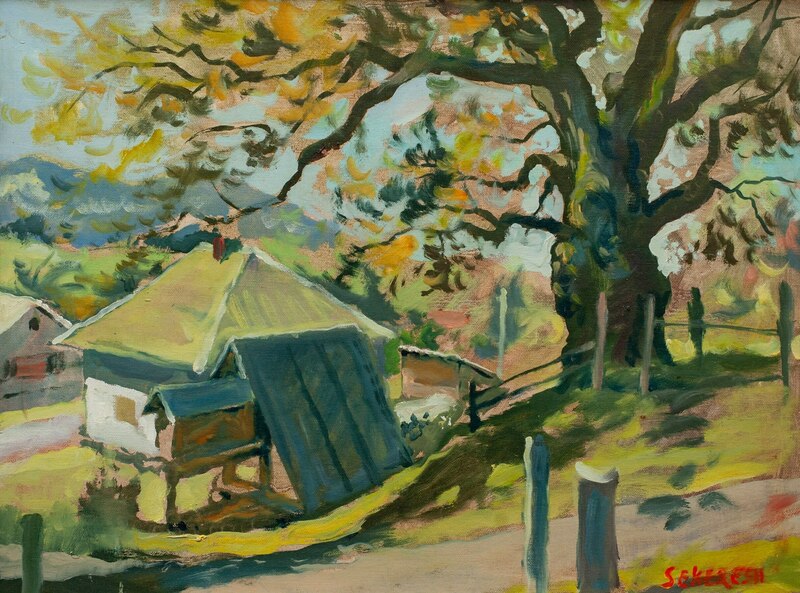 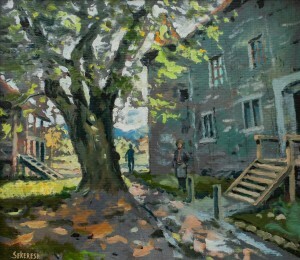 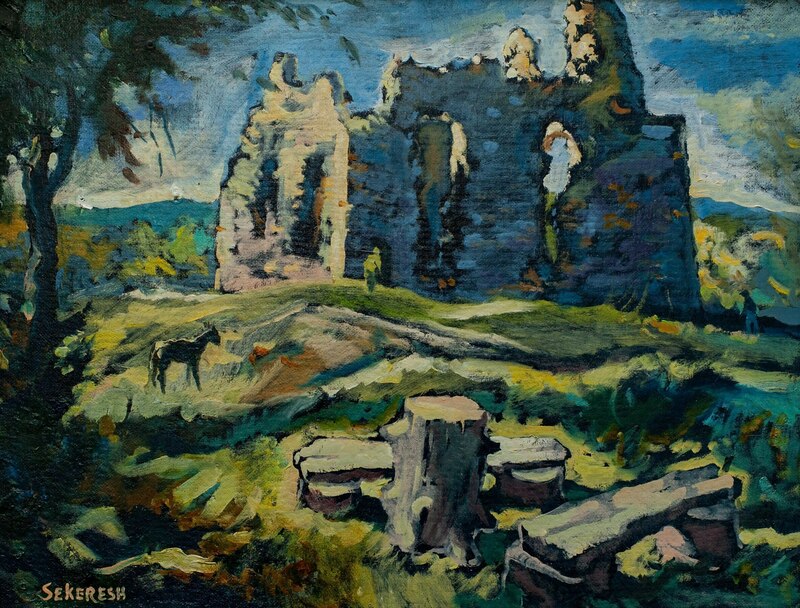 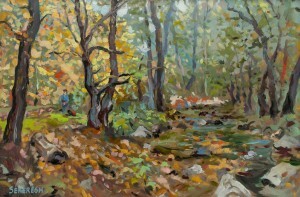 “My favourite season is the plein air. 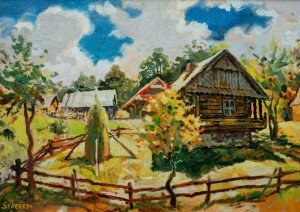 After all, our nature is always beautiful – if only there is enough time to draw it. 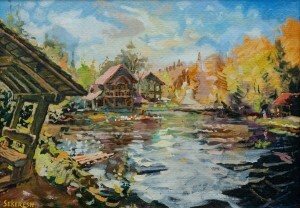 I really like the end of the summer, but by colour, I like autumn. Autumn is wonderful, with a rich palette. It is a holiday of colour. 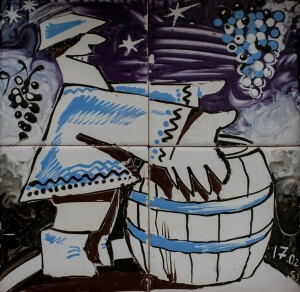 And, in autumn, each not lazy Transcarpathian collects grapes, makes wine. 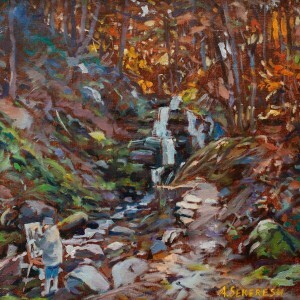 You see it in my works too”, – the artist shares. 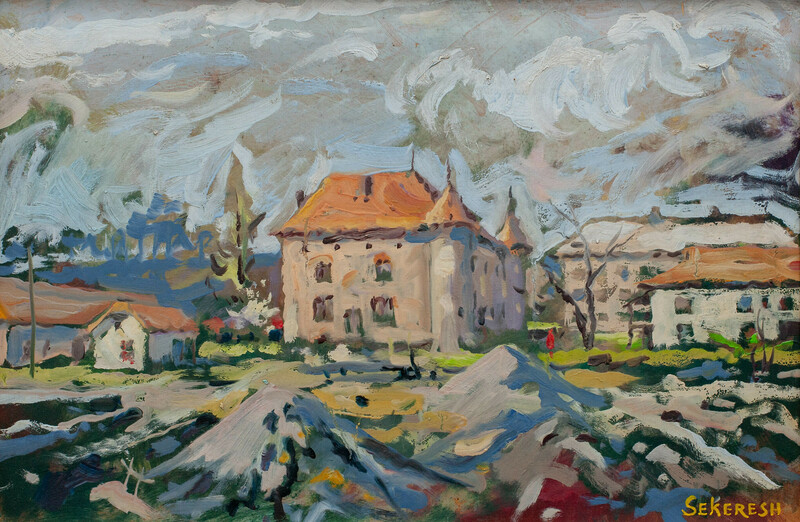 The exposition will last during February 2019.